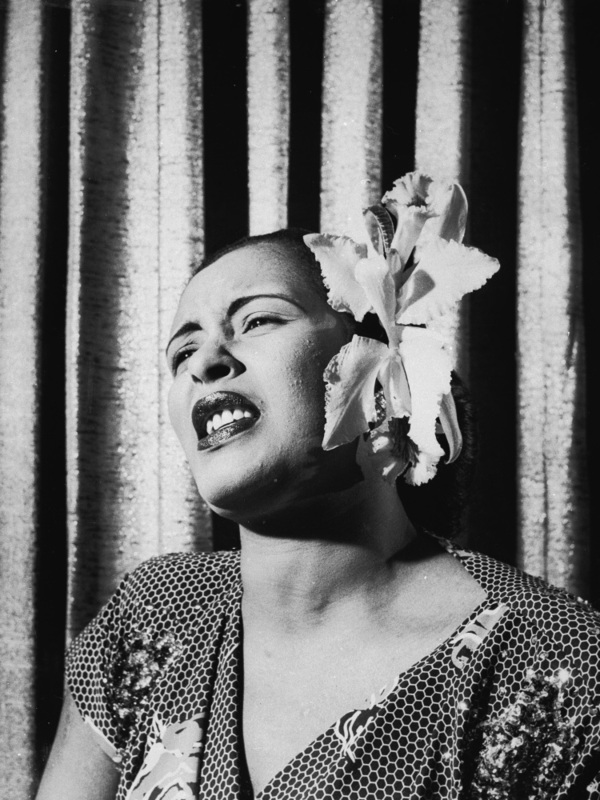 Billie Holiday: 'Lady Sings the Blues' Few voices in recorded music are as immediately distinctive and arresting as that of "Lady Day." A musician's musician with a radiant voice, an impeccable sense of time and subtle, often ironic delivery, Billie Holiday was the premier song stylist of the 20th century. Although the tragic myth of her life often precedes her, Lady Day endures, first and foremost, in the songs that are her ultimate legacy. Born in Baltimore, Md., on April 7, 1915, Holiday had an affinity for jazz from childhood. Her father, Clarence, was a rhythm guitarist for Fletcher Henderson's Orchestra, and Holiday recalls "many a wonderful hour" spent listening and singing along to Louis Armstrong and Bessie Smith on the Victrola at a local whorehouse. Holiday ran errands for Alice, the brothel's proprietor, and gladly accepted hours of listening time in place of payment. While still a teenager, Holiday moved to New York City and got gigs in all of Harlem's clubs, including the notoriously critical Apollo theater. Word got out that she was a daring musician capable of matching wits with the best instrumentalists. Her growing reputation caught the attention of record producer John Hammond, who arranged recording sessions for this revolutionary talent with bandleader Benny Goodman. Through her association with Hammond, Holiday became, for a short but significant stint, the singer for "the swinginest band in the land" — Count Basie's orchestra. According to Basie, Holiday fit in seamlessly. She was "like another soloist," he said. "All she needed was the routine, then she could come in with her eyes closed — no cues or signals." Holiday's friendships with the other musicians flourished, especially her legendary rapport with saxophonist Lester Young, her musical soulmate. With Basie's band, Holiday was a national sensation — a "rhythm" singer who could make dancers jump. However, as biographer Robert O'Meally attests, she had many musical sides, which she demonstrated while embarking on her solo career. As the headline act at Café Society in Greenwich Village, Holiday held audiences riveted with her nuanced renditions of popular ballads, original compositions and her singularly haunting protest song, "Strange Fruit." Whether reviling racism or losing an unfaithful lover — "Don't Explain" — the emphasis for Holiday was on "telling the story from the heart with truth," as she had lived it. Her candid, poignant approach influenced countless musicians ranging from Frank Sinatra to Joni Mitchell. Although many have tried, the combination of Holiday's particular style of singing and her personality has yet to be matched. However, her greatest triumph, according to vocalist Abbey Lincoln, was "bringing the people an honest assessment of the world in which she lived" — a noble endeavor for any artist.